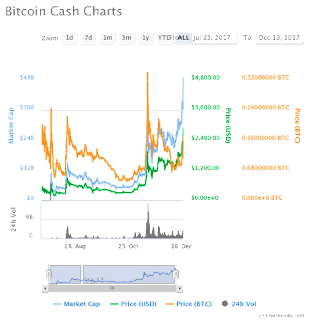 Bitcoin Cash (BCH) has surged to well over $2,500 today, apparently in response to the news that Bitcoin payment service BitpPay will begin accepting payments in the coin. 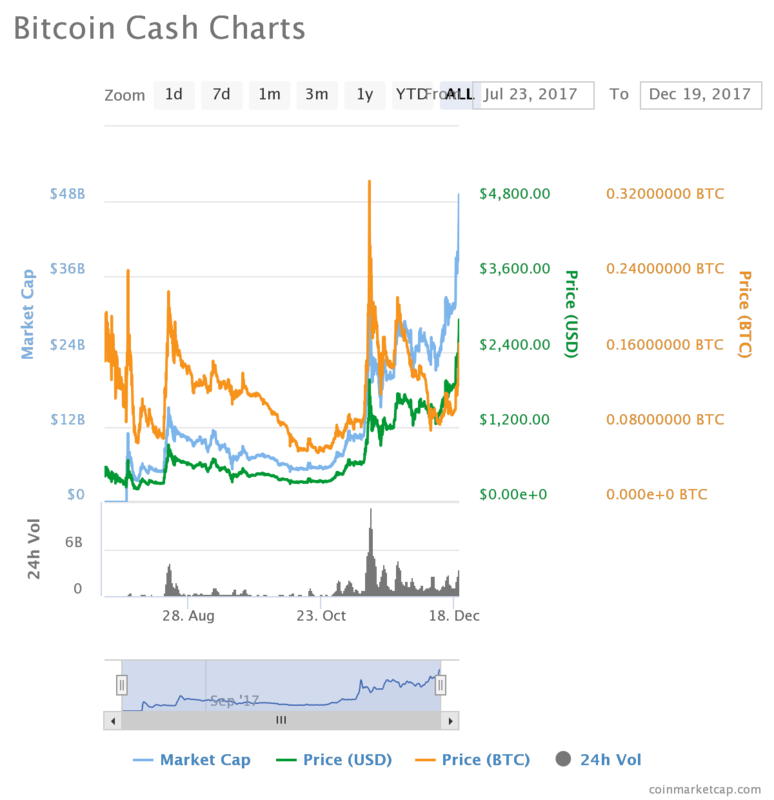 Actually according to stats from CoinMarketCap, the BCH hit an all time high of almost $3,000 standing at an impressive $2,912.73 on Tuesday December 19, around 11:54pm UTC with an impressive market cap of over $49B. BCash Charts from coin market cap. 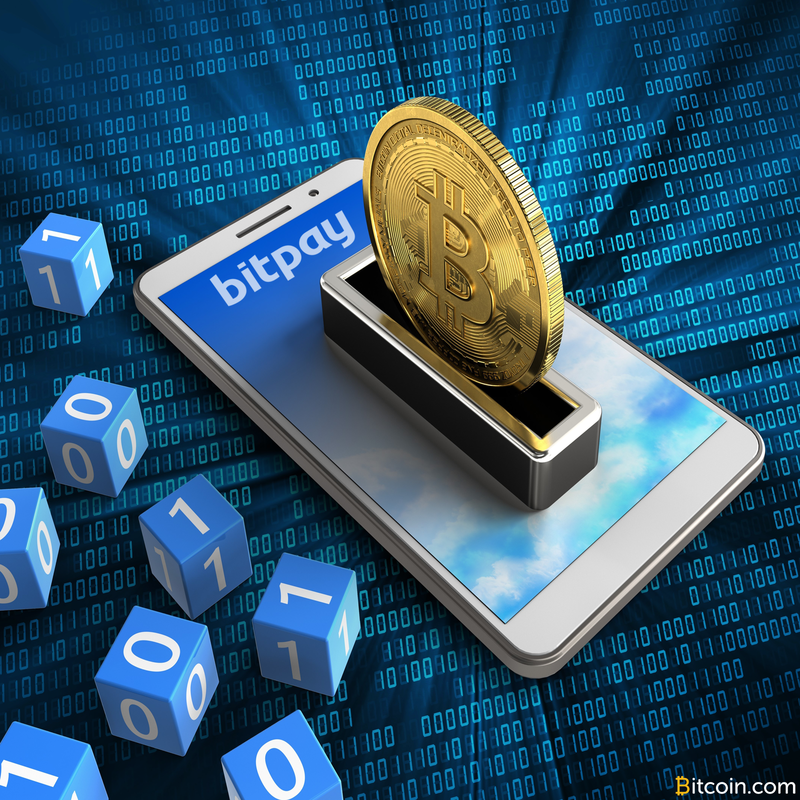 We will begin adding support for a Bitcoin Cash payment option this year, starting with BitPay Card loads. All BitPay invoices will include a Bitcoin Cash payment option by default in early 2018. The news appears to have caused a strong increase in trading volume today as investors moved to buy up BCH, on the expectation that the BitPay integration will increase market usefulness and adoption. BCH had seen a week of relative stability, hovering between $1,700 and $1,900. Likely investors were slow to react to the BitPay news over the weekend, which explains why the price surge happened only today. At press time the price of BCH had reached $2,250.